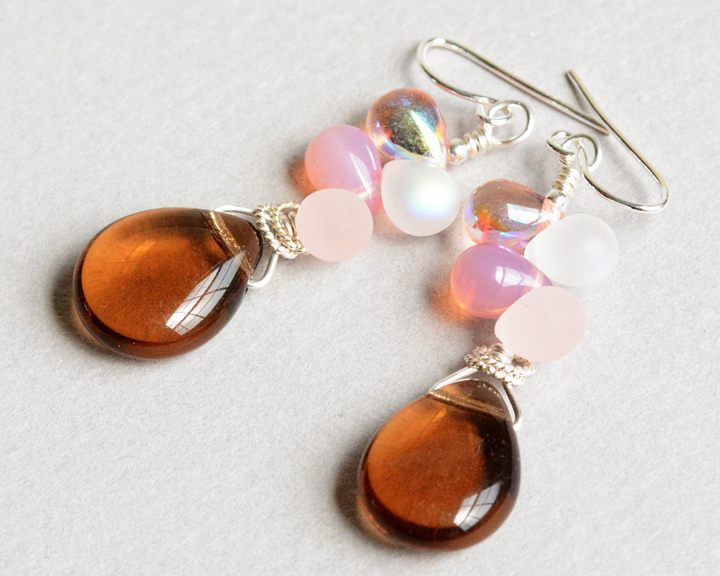 Pretty topaz glass briolettes topped with tiny teardrops of pink and pale white, all accented with sterling silver. French wires can be converted to post by request. To see more photos, view them in my Etsy shop here.